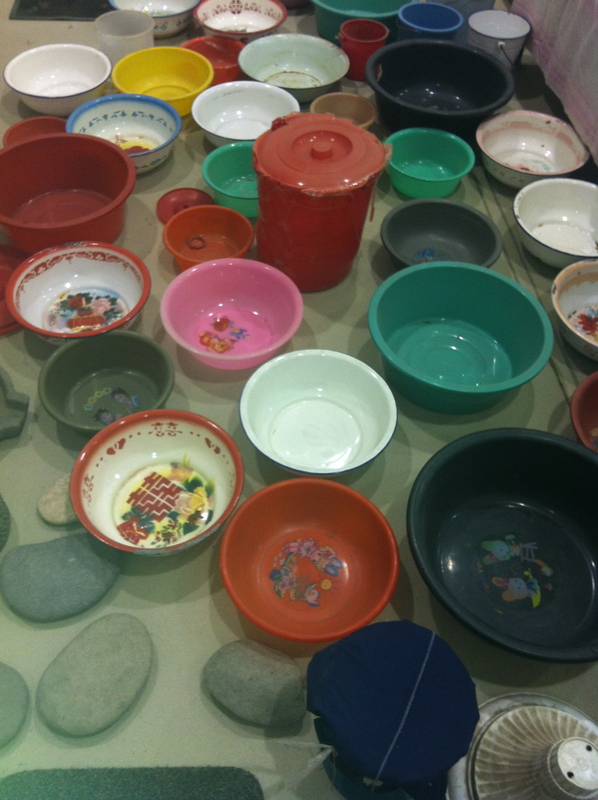 Chinese Artist Song Dong’s first major London exhibition Waste Not is now on at the Barbican Centre. The entry is free and the show runs until 12 June this summer. The exhibition is something out of the ordinary indeed. I walk around the endless piles and stacks of over 10,000 of the artist’s mother’s belongings with a weird sense of discomfort. As a tribute to the artist’s late mother, Waste Not is a powerful arrangement featuring collected objects gathered through an entire lifetime of what can really only be described as hoarding. Nothing has been wasted, the list of objects on display goes well beyond my idea of ‘useful stuff to keep for a rainy day’. Odd chairs, worn out leather shoes, empty coke cans (from the nineties) and old toothbrushes of various range and colors.. you name it, it’s there. The showcase has an overhanging taste of sadness. Song Dong’s mother, Zhao Xiangyuan, helped putting together the original version of Waste Not, first presented in 2005 in Beijing, but died in an accident in 2009. The artist has continued showing the exhibition around the world as a tribute to her and his family. Sadness and discomfort aside,Waste Not was well worth the visit. I left with a newly found urge to de-clutter and deal with that long over-due spring clean. ← Poll Analysis: 40 percent of the readers will “definitely not” be cutting down on red meat despite new advice.